Do you want to learn more about energy efficient design? Green Home Construction is hosting a workshop for homeowners who want to learn more about energy efficient technologies and building methods for a new home or remodel. McDowell & Son will be there to answer any question about heating and air conditioning. 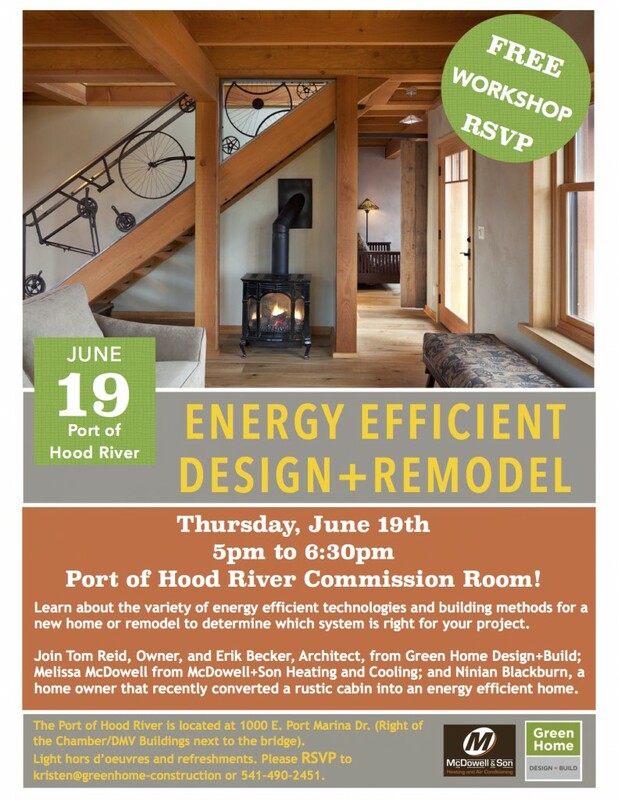 Come join us at the Port of Hood River Commission Room on Thursday, June 19th at 5pm.